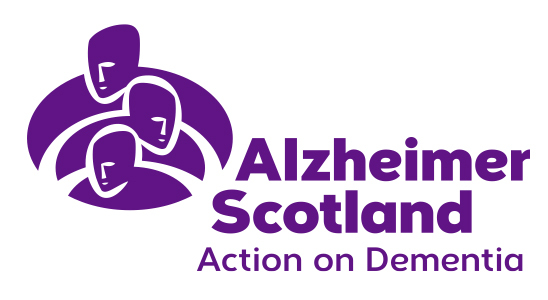 Alzheimer Scotland provides a wide range of specialist services for people with dementia and their carers. We offer personalised support service, community activitiies, information and advice, at every stage of the dementia journey. Annandale Community Transport Services offers transport to community groups and individuals in Annandale. It also offers a programme of day trips, registered bus services to Peebles and Carlisle and minibus driver training. 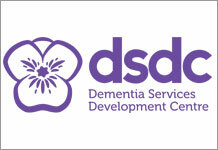 The DSDC is an international centre of knowledge and expertise dedicated to improving the lives of people with dementia. ​The DG Change website brings together four programmes of change. You will find everything you need to know about: Health & Social Care, The New Hospital, The Change Programme and The Cresswell Project. D&G Carers Centre provides information, advice and support to anyone who cares for a relative or friend. It also aims to raise awareness of the needs of Carers and the contribution they make to society. Click here for a list of the D&G Carers Centres across the region. Works on behalf of individuals in Dumfries & Galloway to speak up and promote their rights. Click here to see a list of contact details for Food Train offices throughout Dumfries & Galloway. Food Train Shopping Deliveries - Local volunteers provide a vital grocery delivery service for people who have difficulty doing their shopping. They collect the customer’s shopping at local shops and deliver it direct to their door on a regular basis. Food Train EXTRA - This is a service offering to help and support on a regular basis with practical household tasks, eg. changing light bulbs, cleaning fridges. Food Train Friends - Friends was set up in response to customer requests for a befriending service to help reduce social isolation. Good Neighbours - Practical help and friendly social contact for older people from people living locally, by getting you out of the house for a bite to eat, to social occasions or just to see friends; by popping round for a chat; by helping with shopping or changing light bulbs. Home from Hospital - A short term friendly service supporting people who are returning home from hospital. By making sure you are ok when you have an appointment or a stay in hospital, and check you are ok when you get home. Community Transport - This is a door-to-door scheme that gives older people the freedom to get out and about, eg. or simply go for a drive. The cost for any journey is mileage-based. The See Hear Project is a partnership between Visibility and the National Deaf Children’s Society (NDCS) to support adults and children with sight and/or hearing loss living in Dumfries & Galloway and their carers. It provides a range of services including information on sensory loss, aids, equipment and services; training in accessible technology; early support for new hearing aid users; use of magnification to read more easily; and a number of opportunities to build up skills and confidence to live life to the full. SGN manages the network that distributes natural and green gas to 5.9 million homes and businesses across Scotland and the south of England. Clicking on this link will take you to SGN's webpage for information pertaining to their vulnerable customers. The Hub - The Hub is a community anchor organisation. See the many services it provides by clicking here including the Rent Deposit Guarantee Scheme following. This scheme can assist by providing a rent deposit guarantee bond of up to £350 instead of an upfront cash deposit which guarantees to pay the deposit should a genuine claim be made by the landlord. For more information click here. This partnership project provides free firewood and kindling to vulnerable older people across Dumfries and Galloway between October and March each year. Click here for further information or use the contact information at the top of this section. To protect their most vulnerable customers they have a Priority Register. This includes people dependent on medical equipment, chronically sick, disabled or those requiring special needs who will receive additional support and notification of power loss in their area. You can sign up for the Priority Services Register by going online here or by calling them on 0330 10 10 444. Dumfries and Galloway Council's Trusted Trader Scheme helps you to choose a reputable trader through viewing previous customer feedback. The scheme is a local business partnership which aims to increase consumer confidence, promote good practice within local businesses and help to protect local people from doorstep crime.